Welcome to the Robson Academy of Irish Dancing Official Website. 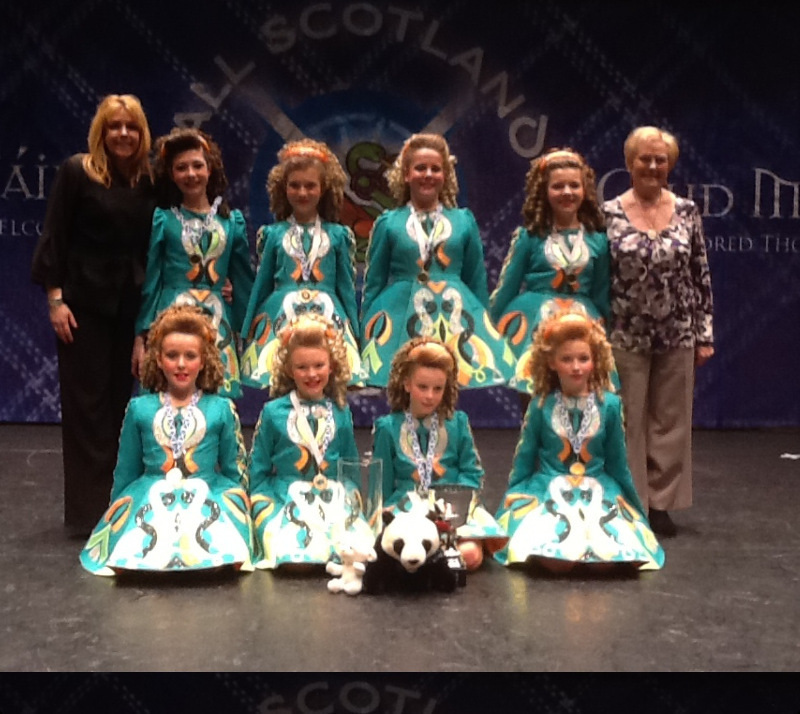 The following photo shows the 2013 All Scotland under 13 girls Ceili Champions with Fiona and Margaret. The Robson Academy is a community of dancers where life long friendships are made. Established over 30 years, the Teachers ensure every pupil is valued, nurtured and has the opportunity to develop to their full potential. Whilst learning a world class form of dance, the children can flourish in Team Building skills, Keeping fit, travel and enjoy a fun social calender. Although competitiveness is encouraged, the Academy has a mix of pupils ranging from beginners to world class performers. The teaching provision caters for all abilities and individual learning styles, giving each pupil a chance to shine. Local community involvement is at the heart of the Academy and is warmly received at many local events. Registered with the formal body of An coimisiun Le Rinci Gaelacha. Teachers update: We have moved! In addition to this, class times have also changed. The full address and new class times can be found lower down on this Page. The events for 2012 will be posted shortly. Although the photo gallery is still under construction, a photo of two dancers has been added. Please check the site regularly for updates. The venue and times for Team Classes are to be arranged.